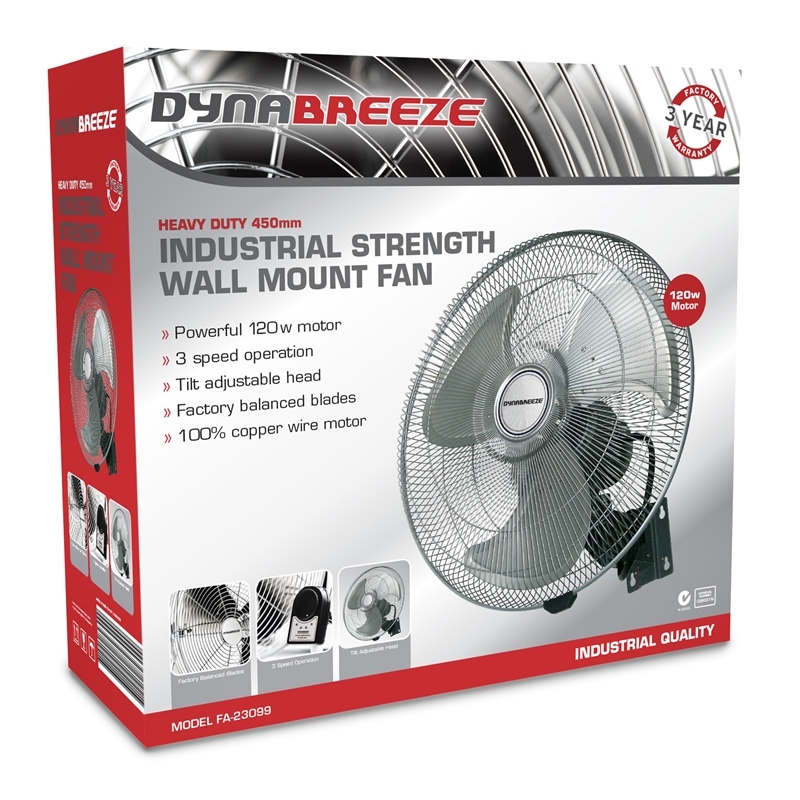 Control the temperature throughout your home during summer using the Dynabreeze large 450mm blade fan. 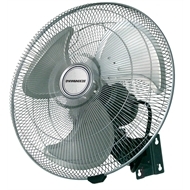 Easily mounted to the wall for safety and stability, you can ensure your any room stay cool with a 3 speed operation for personal preference. 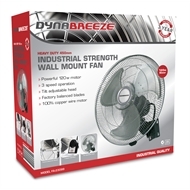 Built for endurance and extended performance, these fans feature an extra strong heavy duty grill and powerful 120w motor with an adjustable oscillating head for ultimate convenience and cooling range.